The Supreme Court’s erroneous decision in Hirst http://www.courts.wa.gov/opinions/pdf/914753.pdf has been a lesson in pain demonstrating poor judicial decision making can cause a web of unintended punishments that go far beyond what is possibly the original intent. Yes, the environmental cartel’s (tribes, futurewise, agencies, and uncaring politicians) dreamed of result of halting growth in rural Washington was acheived. And those who stand to profit from the improper route of regulatory legislation from the bench will feel no pain. http://proprights.org/blog/stealing-our-water-one-lawsuit-time-hirst-heist-and-our-diminishing-legislature Yet this decision has caused suburban and rural Washingtonians to doubt the integrity and functionality of our system of governance, spurring a close look at how such a result can come about that has been instructive to those paying attention. While urban democrats are spending the day after the close of the third special session, the longest in state history, patting themselves on the back for finding a way to be compelled by the McCleary decision of the Supreme court, to tax each citizen more than in the past, thus rescuing what is left of education in Washington state, while also bragging about the somewhat twisted version of reality of how they “stopped developers from damaging senior water rights”. They are desperately trying to sweep under the rug the fact that their win in walking off the floor of the legislature and refusing to take the responsibility for lawmaking in Hirst is not a win but a loss to the citizens of Washington state. This failure to take the required action and unwillingness to shrug off the mantel of special interests will become an unbearable albatross when their constiuents realize that in walking off the floor, the democrats will not only contribute to the financial stress of already over-taxed districts, they have contributed to increased unemployment and worsening infrastucture in schools and municiple projects. By walking away and not understanding the damage of Hirst, they have ignored the damage done to constituents both in terms of the tax burden of Hirst and in terms of moving away from a capital budget that would encourage employment and well paying jobs that come with improving infrastructure. If this is a win, it is a painful example of how to win. Some rural democrats and the majority of the republicans in the House and Senate are regretful, angry, and dismayed by the broken promises of democrats who refused to move a single piece of legislation to fix Hirst out of committee. In fact, on June 30, an agreed-upon, bipartisan amendment was introduced in the House but democrat leadership refused to allow it to come up for a vote. Republicans not willing to compromise the lives, livings, and dreams of rural and suburban constituents promised they would not pass a capital budget without a Hirst bill first passing. This promise was well known from the start of special sessions, yet continuously ignored by urban democrats. The republicans stayed true to that promise, proving their understanding of representative government. The state and urban citizens should not be conferred a status of the only entities allowed to build. Oddly enough, most urban people do not realize they get most of their water from rural areas, if rural people are not allowed the use of less than 1% of the water in the state, how long do urbanites have before their water use is curtailed or held at ransom for ever escallating costs? Perhaps the courts could some day deem their right to access water would be interruptable, causing a situation where they could not have water at times and devaluing their properties. As we have seen, anything can happen if left to the courts. Washington republicans have proven their understanding of representative governance and have provided a rather dramatic illustration that the Supreme Court does not hold the power to cause them to legislate, and it will be confirmed that the Court does not have the authority to do anything about it. The judiciary can not force the legislature to legislate a Hirst fix bill or compel them to pass a budget. Does it stand to reason the judiciary does not have the authority to enforce its legislation from the bench on a citizen without the complicit agreement of municiple government? The Supreme Court attempted to put the legislatively delegated power of the legislature, given to a subsidiary of the legislature, Ecology, to manage water in Washington state under the guise of administrative law, into the hands of municiple government, causing that government to be overseen by an agency (Ecology) that the Court has stripped of its authority. Does this stand the test of the doctrine of separation of powers, or has it crossed the line and become a blanket judicial taking? 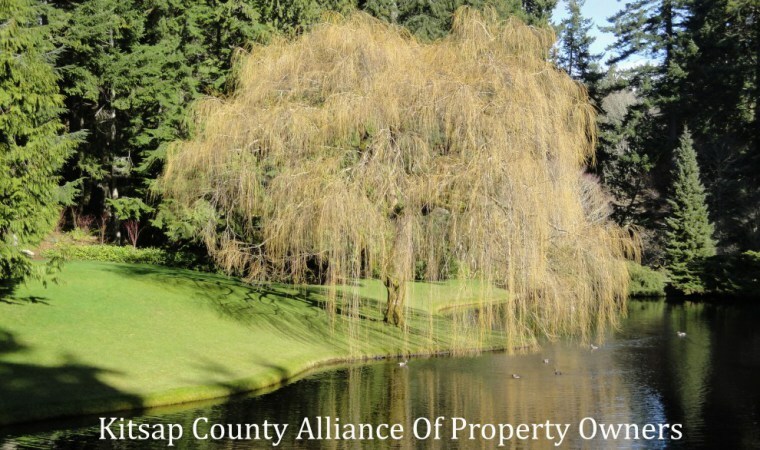 This entry was posted in Administrative Law, Commentary, Kitsap Alliance News, Legal Matters, Water Rights. Bookmark the permalink.